Happy Crafts is a UK-based Etsy shop which sells a wide variety of cute homey bits including bedazzled glassware, magnetic pegs and wooden toadstools. I am reviewing the latter! 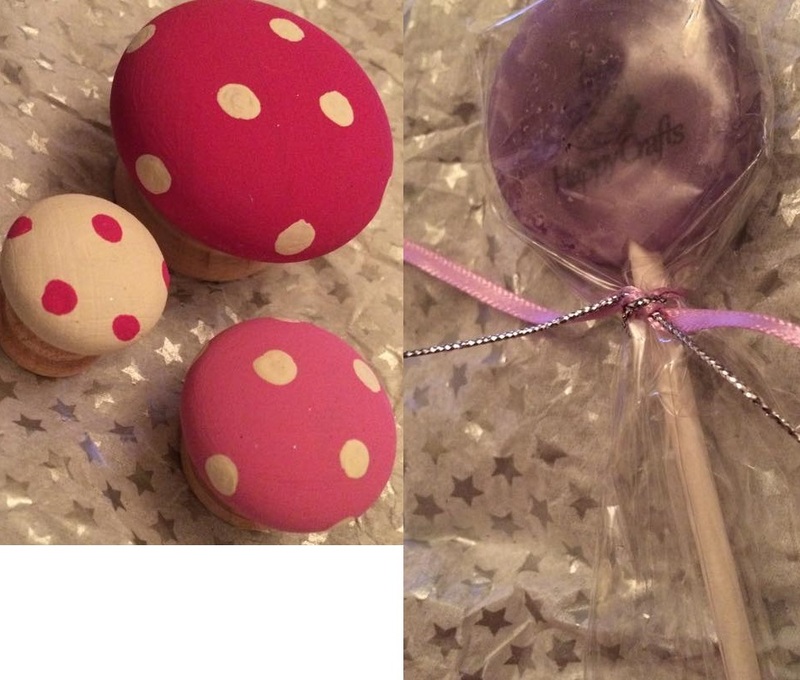 I wanted some cute toadstools to pop in the windowsill of my new house alongside my fairy cottage. I was attracted to Happy Crafts as the shop offers a fairly wide variety of colours... and I wanted pink ones! I got a set of 3 which costed just £8! The painting is done well with a very neat cut-off point where the stalk begins. There was also this cute lollypop in my package with the happy crafts logo stamped on there. What a cute and unique touch, I've never ordered from an Etsy shop which has done this before! I'm so pleased with my cute little mushrooms, they will look sweet in my home - they're everything I imagined them to be! Check Happy Crafts out here.